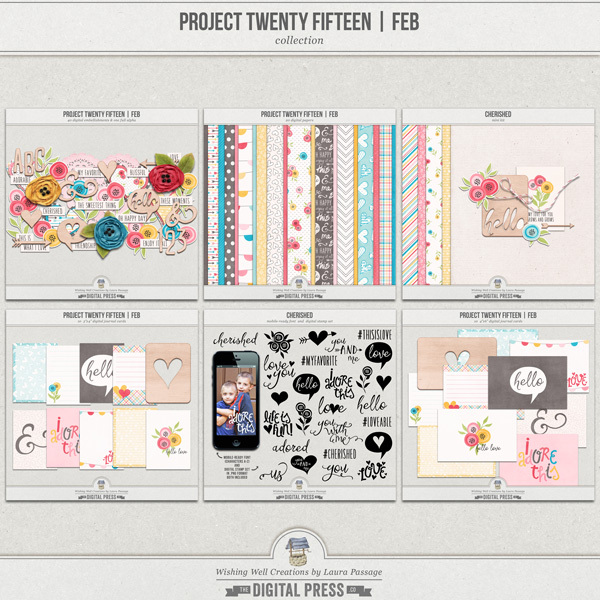 Originally created for the February 2015 DigiScrap Parade, this mini kit is a lovely little way to document the things in life you love the most! Best of all -- it coordinates with the entire Project Twenty Fifteen | February Collection. 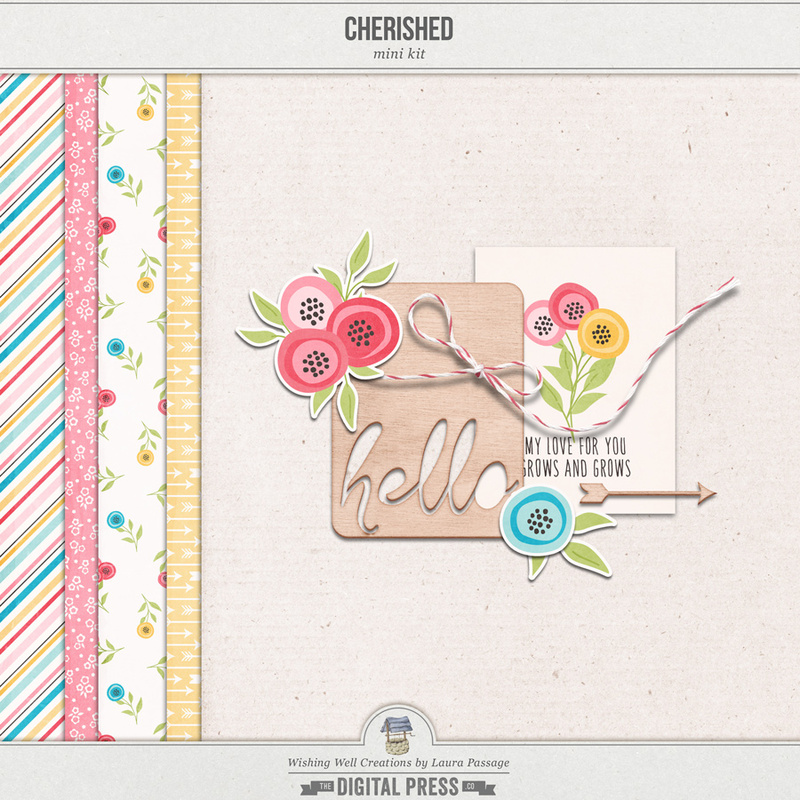 Included: 5 lightly-textured 12"x12" papers (4 patterned & 1 solid cardboard paper), 1 3x4 journal card (in both textured (digital) and non-textured (printable) format), 3 flower and/or leaf stickers, 1 baker's twine string bow, 1 wood veneer arrow, and 1 wood veneer cut-out 3x4 journal card. *NOTE* This mini kit was originally offered for free on the Wishing Well Creations web site in February 2015; check your stash before purchasing in order to avoid duplicates. Papers are in .JPG format; all other elements are individual .PNG files; all files created at 300dpi. No drop shadows. PU/S4H/S4O OK. 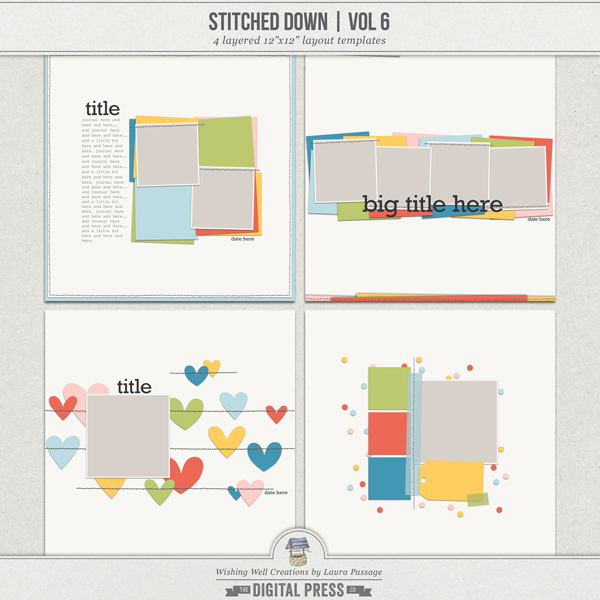 Please read Wishing Well Creations' TOU before downloading/using. Thank you!